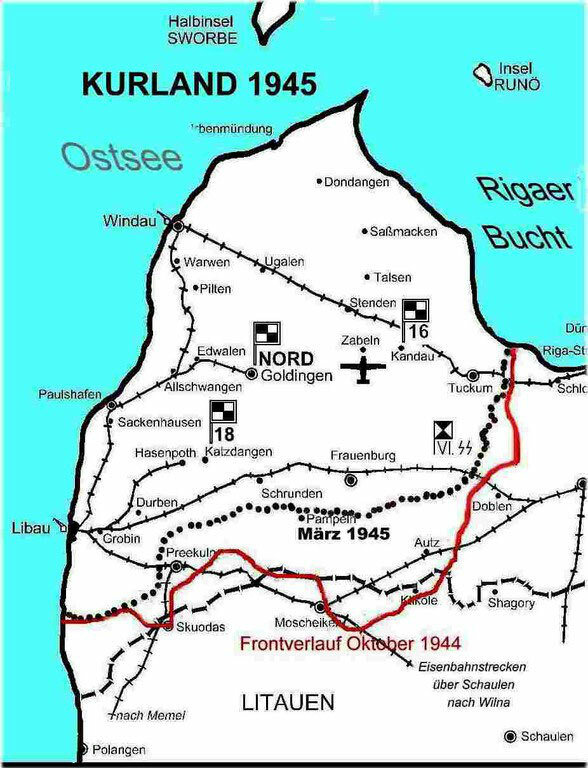 In the middle of October 1944, about 500,000 soldiers -- 32 German divisions and the 20,000 men of the Latvian Nineteenth Division of the Waffen–SS -- were cut off from the rest of the German army and encircled. To the east and the south was the Soviet army, to the north and the west -- the Baltic Sea. 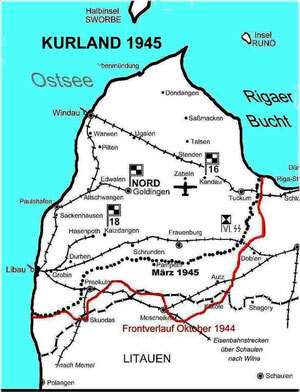 The Latvians called it Kurzemes katls, the Kurland kettle; the Germans called it Festung Kurland, Fortress Kurland.